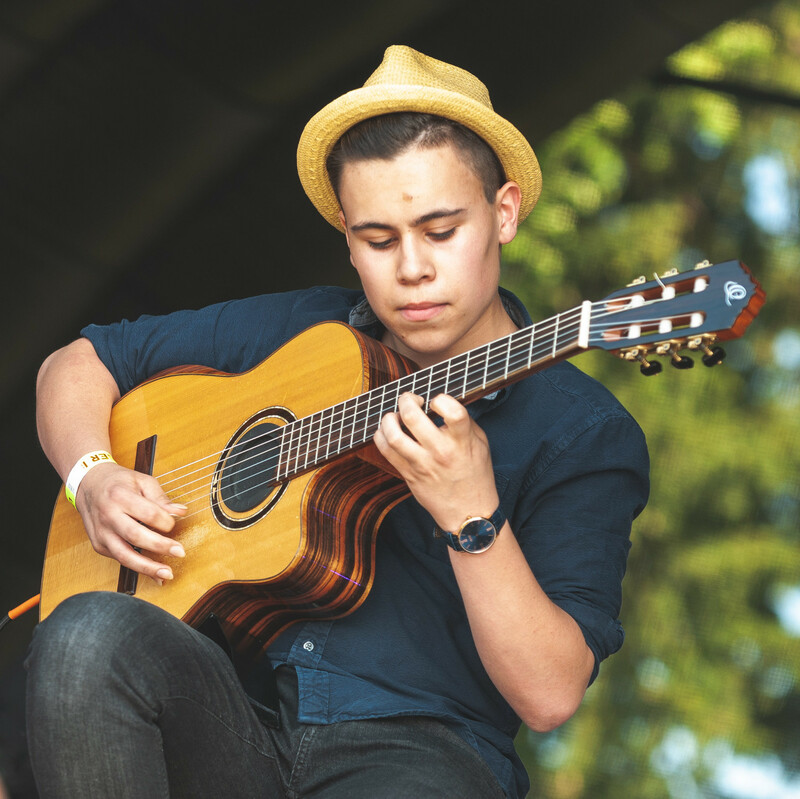 Billy is an award winning 17 year old Anglo-Brazilian classical / fingerstyle instrumental guitarist, inspired by the likes of Rodrigo y Gabriela, Tommy Emmanuel, Mike Oldfield and Paco De Lucia. 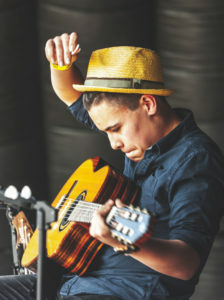 During ‘Guitar Star’ Billy stunned audiences with some extraordinary performances – for judges and mentors including Jazz legend George Benson, Classical Virtuoso Miloš Karadaglic, Black Sabbath guitarist Tony Iommi, and David Bowie’s producer Tony Visconti – who described him as ‘a little genius’. 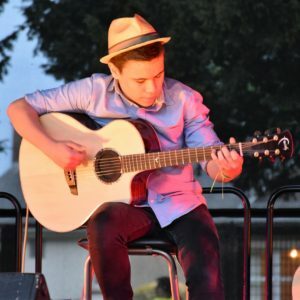 He has performed live at numerous iconic UK music venues, including the legendary Abbey Road Studio number 2 of Beatles fame, London’s Royal Festival Hall, The Cavern Club and The Latitude Festival. 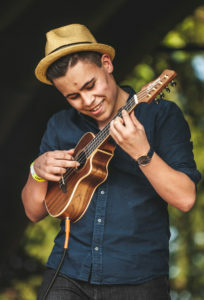 Billy has supported virtuoso acoustic guitarists Jon Gomm and Clive Carroll, performed at numerous UK and European festivals, including ‘Musikmesse’ (Frankfurt), ‘The Acoustic Festival of Britain’, the iconic ‘Ullapool Guitar Festival’ (Scotland) and ‘The Henley Festival’ – on the same bill as The Pet Shop Boys and Chaka Khan. Billy is officially endorsed by several major brands and regularly performs at music shows and exhibitions. He is also available for TV and Session Work, Private Bookings and Festival Performances and continues to study classical guitar at the prestigious Purcell School of Music in London. From September 2019 Billy will take up a place at the Royal College of Music in London, studying classical guitar with the world renowned Gary Ryan. 2017 CD “Cryptic” Available NOW!! Click here or on picture for details! 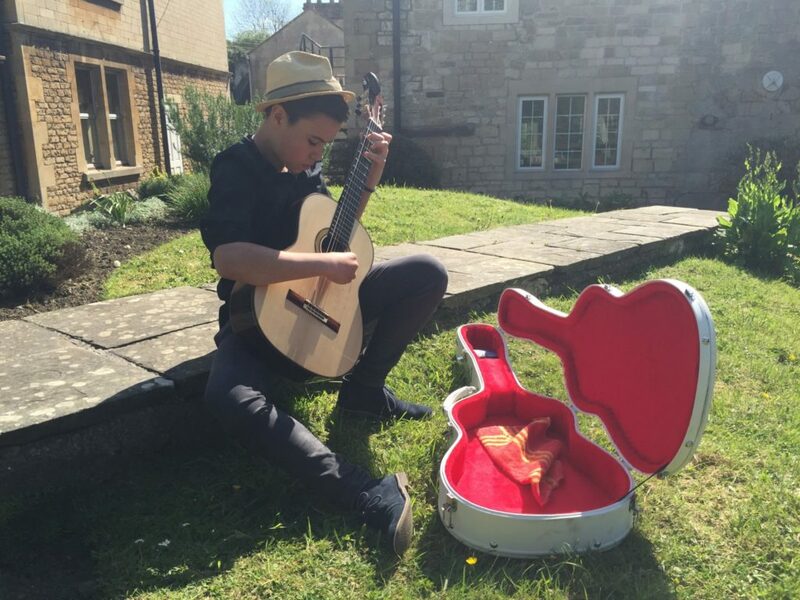 Billy also plays custom hand made guitars from Stephen Hill Guitars and Fylde Guitars.